The Derby Bar is a charming and trendy location with a winter garden overlooking the Royal Villa. 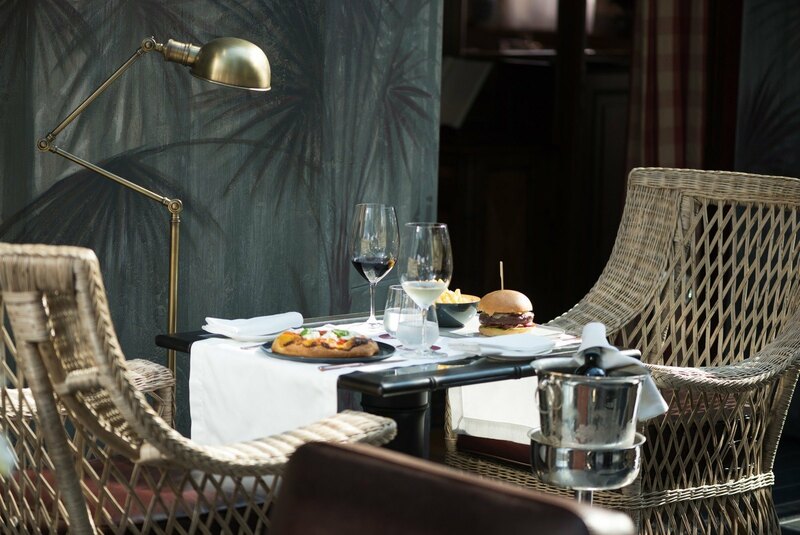 Here you can enjoy a break from the routine with an afternoon tea, a gourmet aperitif or an after-dinner drink mixed for you at the cocktail bar. Indoors, the Derby Bar offers an interlude of peace in the context of a private library, a room you can experience with a cup of tea and an architecture or classic cars magazine. 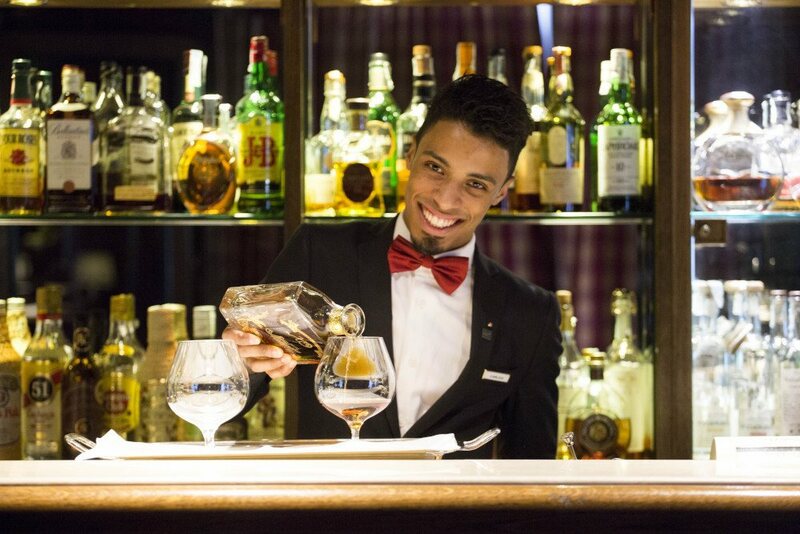 The Barmen at the Derby Grill will always surprise you with professionalism and creativity. From the classics to the most original cocktails, including a fine selection of spirits and liquors, all present on the shelves of the Derby Bar. All this to accompany a relaxing moment with the right drink in an elegant and refined atmosphere. The new Derby Veranda is a refined window overlooking Monza, with large windows and perfectly air-conditioned. This allows all our guests to enjoy the breath-taking view also in winter, while in summer the windows can be opened to let in the outdoor air. Its colonial style, with Vietnamese fans on the ceiling, comfortable rattan and leather chairs, bamboo furniture and ever-green plants that inspire the paintings with nature motives on the walls, contributes to creating a refined and elegant atmosphere. Here you can enjoy a break from everyday life, indulging yourself in true relaxation among the drinks prepared by Carlos Rosa and the refined recipes of Chef Fabio Silva.